Our aluminum materials are available in 16 various shapes and many different grades, each can be cut-to-size for just the amount you need. 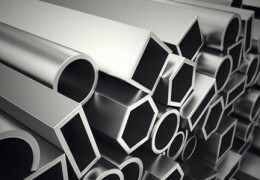 Aluminum is the second-most used material afer steel, due in part to its versatility and efficiency. Aluminum provides strong structural support to machined parts and construction material without adding excess weight to the products. Copyright © 2016 BT Metal Sales and Fabrication, Inc.